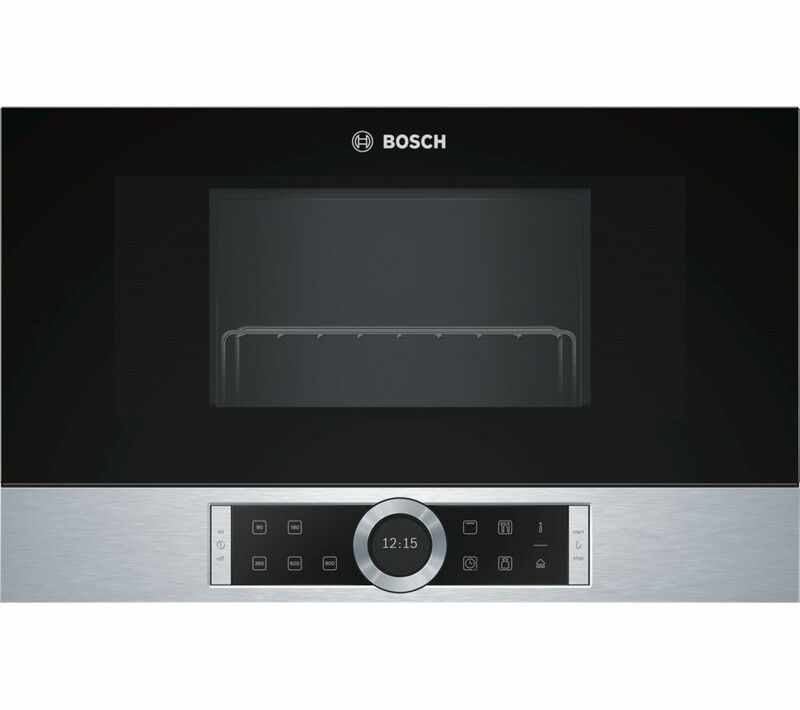 Enjoy stunning grilling and cooking quality in a much quicker and more economical way, with this Bosch BEL634GS1B Built-in Microwave with Grill.Perfect for preparing your favourite meals in a matter of minutes. 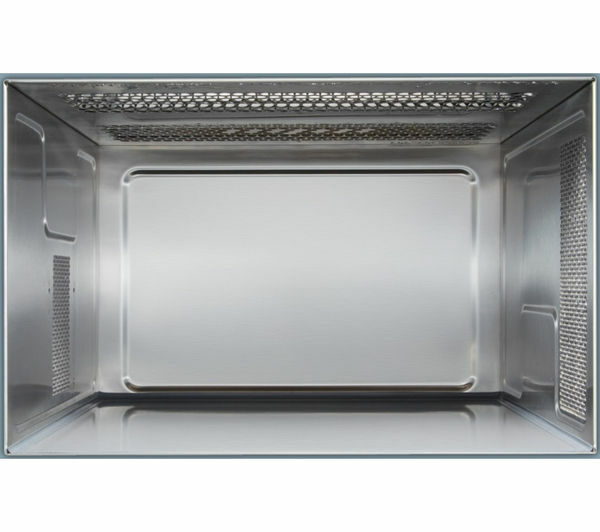 Designed with two heating methods, you can either microwave or grill your food, giving you increased flexibility. If you're only cooking small amounts, the variable quartz grill only heats up the central section of the grill. Less energy is used, which is ideal for those smaller meals or snacks. 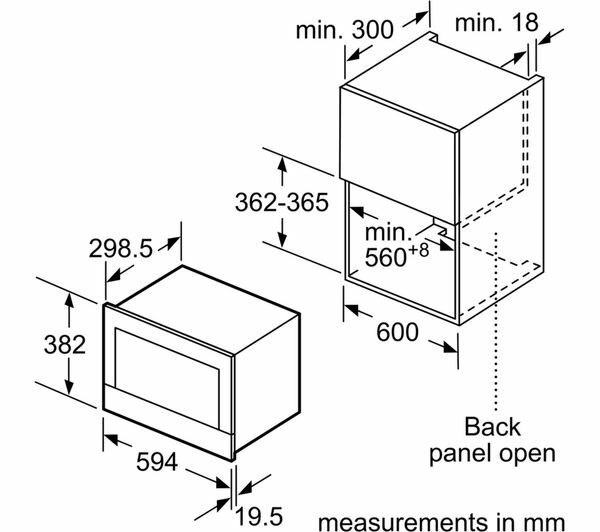 With LED lighting the microwave is illuminated to view the inner cavity, so you can easily see the cooking status of your food. 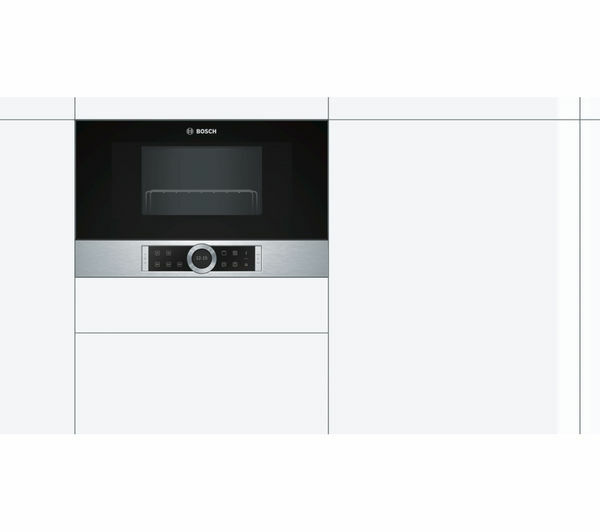 The touch controls with LED display makes it easy to view and control your settings, keeping cooking simple. 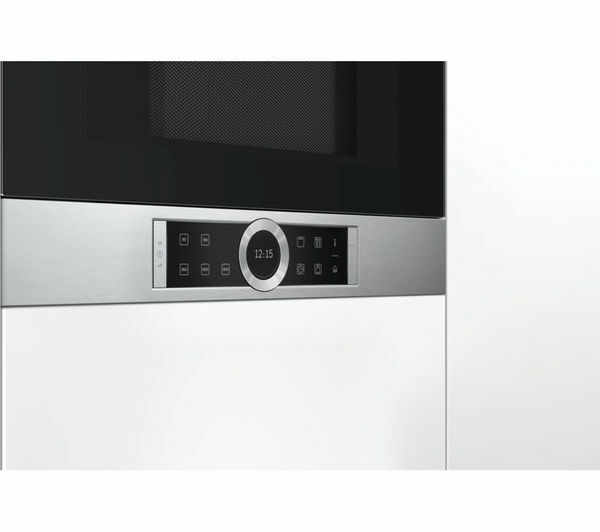 So if you need to re-heating leftovers, defrost your frozen foods or cook a small dish; this Bosch BEL634GS1B Built-in Microwave with Grill is the essential cooking appliance for you. Dial to change the time isn't as easy to use as it looks, frequently doesn't turn when hands are smooth. It also falls off when your pressing on it to try and get it to turn. 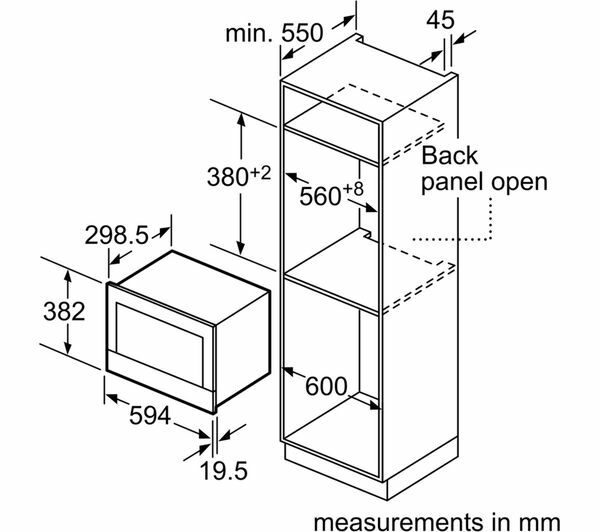 Small interior space for the size of the unit. I've had to keep my old microwave for the bigger items which defeats the purpose. Why so small looks silly when you open the huge door to find a small hole. Bought it to look good in the kitchen which it does well but for the price it's more impractical than I thought. Touch Controls. Easy to clean. Vented at the front. The clock is not very accurate. 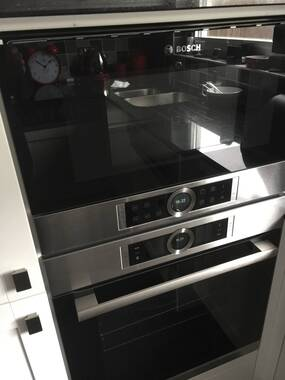 There is a Bosch oven clock directly under it so it gets a bit irritating with different times showing.